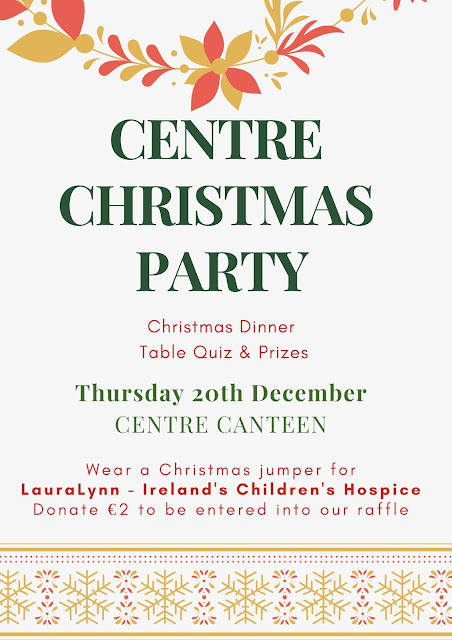 Our Christmas Party takes place tomorrow, Thursday the 20th December including a Christmas Jumper Day for LauraLynn Children’s Hospice. 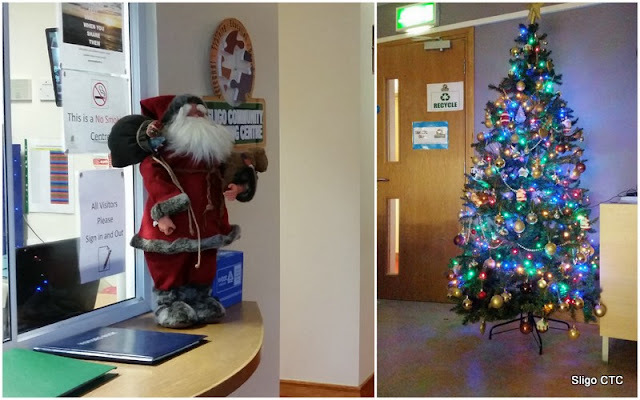 Everyone is asked to wear a Christmas jumper on the day and donate €2. All who donate will be entered into a raffle. LauraLynn is Ireland’s only children’s hospice and while it is based in Dublin they work will families from every county and is currently working with families from Sligo. Please give generously. One of Ireland’s best known and loved chefs Neven Maguire visited our centre on Friday. The morning saw Neven meeting with trainees from the catering department while he observed them bake. Following the presentation of a hamper, all trainees and staff gathered in the canteen to hear Neven speak about his own training, owning his own restaurant and cookery school and his pathway to becoming a celebrity chef. He then gave freely of his time in answering the many questions asked of him by trainees. Neven was accompanied by Cllr Sinead Maguire on his visit to the centre. We would like to thank Neven for coming to see us at Sligo CTC and to Sinead for making the occasion possible. Our centre is delighted to work in partnership with Aimee Flynn, Foróige in providing a Youth Drug and Alcohol Education and Prevention Programme to trainees on Thursday afternoons from 1.00-2.00pm, commencing today. to develop their own abilities and attributes. to make informed healthy and responsible choices with their lives. The programme includes education around drugs and alcohol alongside developing self-confidence, self-reliance and enabling participants to gain a greater ability to take charge of their own lives. This programme is delivered in a fun and interactive way and we are looking forward to having it take place in our centre. Follow us on Twitter and join us on Facebook! 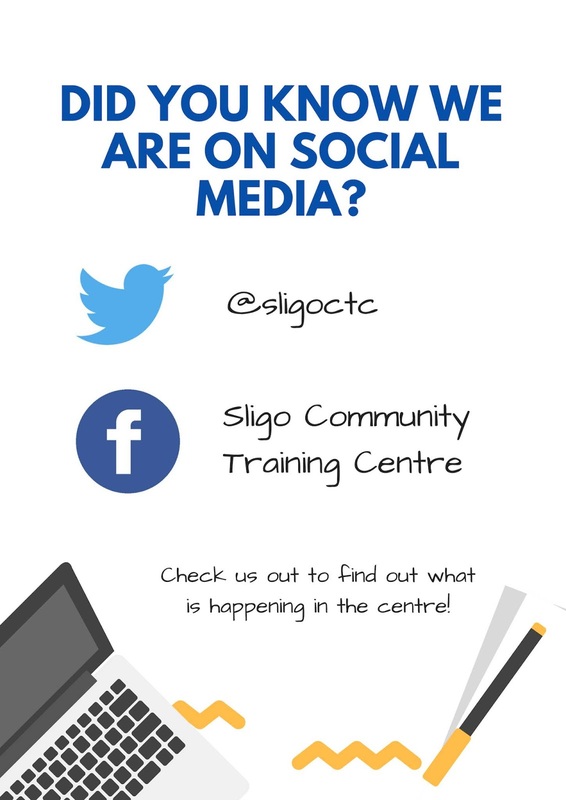 Website designed, developed & maintained by Sligo CTC computer trainees. Picture Window theme. Powered by Blogger.